After an intense first season full of drama the series took a turn when a murderer appeared in the village, a hooded man who was ravaging the surrounding areas and who turned out to be the same who attacked Archie's father. At this situation, Archie decides to organize a group of defenders who will give the task of unmasking this new villain, after a thorough investigation our main figure gets all the signals who blame a man who years ago suffered the loss of his family and is now looking for revenge. Each episode keeps an interesting atmosphere with this investigation, making us believe that the case is already Solved but on the other hand showing us a skeptical Archie convinced to follow his instincts. The murderer approaches our main characters with strange and threatening gifts, causing them to join forces as part of their evil plan to disappear Archie. 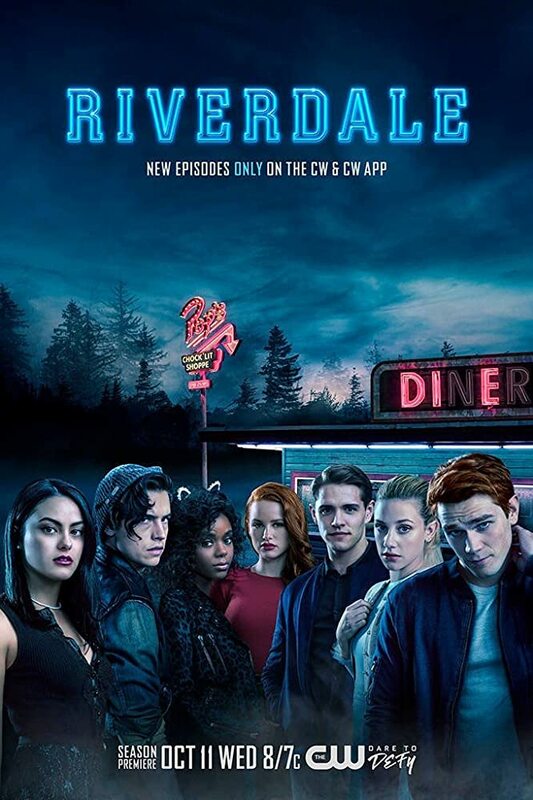 From here we see how little by little new characters are being integrated into the series, some of them annoying and others who came to change everything in the town, one of them becoming the campaign enemy of Archie's father in the elections for mayor and turning Riverdale into his personal monopoly board. Another new character who arrives to bring discord to Riverdale is the long-lost brother of one of the girls, he is like a bad luck magnet, he turns his family into murderers when they are forced to kill his dealer in self-defense. Also, the conflicts between the rival gangs are stronger than ever, now within the same high school the confrontations are more constant and with much more tension. Veronica does not miss any opportunity alone with Archie to keep out of his mind all this drama that covers Riverdale, this romance has kept viewers in the expectation that something happens between them that separates them, nevertheless they keep it despite the drama, serial killers and even the political dispute of their parents that places them in a situation similar to that of Romeo and Juliet. The surprises continue in each episode when the masks keep falling off for people who hide their identities, a twin brother of a Character who had already died appears, that plot twist created confusion in the audience, but that despite being a risky move was accepted by the audience for their contribution to the plot. The season ends with two shocking events, first the murders continue, and the black hood is still related to all cases, there are several masked murderers, but no one matches with Archie’s description of the one who tried to kill his father, after a persecution the real Black Hood is caught, being a character that no one suspects. On the other hand, the man who wants to take over the town begins to turn pawns into gang members manipulating them for their plans and finally turning things against Archie to imprison him. The third season was announced and with it two new characters, with Archie in jail we do not know what will bring us this season that begins on October 10.